Nail Rock has collaborated with Jeans for Genes to create a denim influenced collection in support of the charity. The limited edition range consists of three denim inspired designs: Jeans Pocket design, Jeans Zip design and a Denim Leopard design. 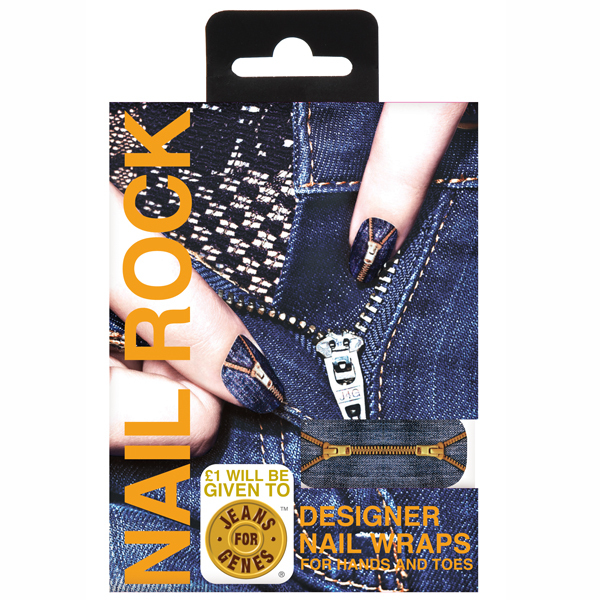 Nail Rock will give £1 from the sale of each pack to the national children’s charity. The new Nail Rock designs (£6.65) last up to seven days on nails and eight weeks on the toes, with each at home nail wrapping treatment taking 15 minutes to apply. These look great, for a good cause too!